The bench was hearing the SLP arising out of the judgment dated October 24 of the Bombay High Court by virtue of which a Pune court’s order granting additional 90 days’ time for further investigation and filing the charge sheet against lawyer Surendra Gadling and some other accused-activists was set aside. On October 29, the apex court had stayed and issued notice on this plea preferred by the state of Maharashtra. Before the High Court, it was the case of the accused that though section 43-D of the UAPA requires an application for extension of time to be filed by the Public Prosecutor, in the present instance, the same was moved by the investigating officer. While High Court Justice Mridula Bhatkar’s verdict paved the way for Gadling and other activists to be released on bail, the judge had stayed her own order from becoming operational till November 1, following a request from the Maharashtra government, thus giving time to the state to file an appeal before the top court. “The short facts are that these respondents are acccused of several offences under the IPC as well as the UAPA. The normal period for filing a charge sheet is 90 days, but the UAPA allows an exception for the extension of this period to 180 days if the court is satisfied of the need on the report of the Public Prosecutor. Now, in this case, what had happened is that first the Investigating Officer made an application for extension. On the same day, the government pleader also filed an application setting out the nature of offences- that the accused are members of a banned outfit called the CPI(Mavoist), that the sovereignty and integrity of the country is at risk by virtue of their objectives and proposed activities, that they were responsible for the havoc wreaked by the Bhima-Koregaon riots, that some members of their group are underground and that, in the course of the investigation and house-search, alarming materials have come to light...”, advanced Senior Advocate Mukul Rohatgi on Monday on behalf of the state of Maharashtra. “Has the charge-sheet been filed”, Chief Justice Gogoi wanted to know. “Yes, it was filed after the 90-day period but before the expiration of the 180 days...The bail is pending. They can apply. Your Lordships may fix a time frame and we can argue, now that the charge sheet has been filed”, asserted Mr. Rohatgi. “The authority has to be the PP and not the IO. Then doesn’t the IO’s signature (on the PP’s application) show no application of mind on his part?”, quizzed Justice Joseph. “That would be true if the applications were the same”, responded Mr. Rohatgi. “You are saying the High Court should have taken a broader view and looked at the charges?”, asked the Chief Justice. “This is not an application by the PP. In Thakur’s case (Hitendra Vishnu Thakur v. State of Maharashtra; 1994), this court has said that the application has to be filed by the PP through the IO. 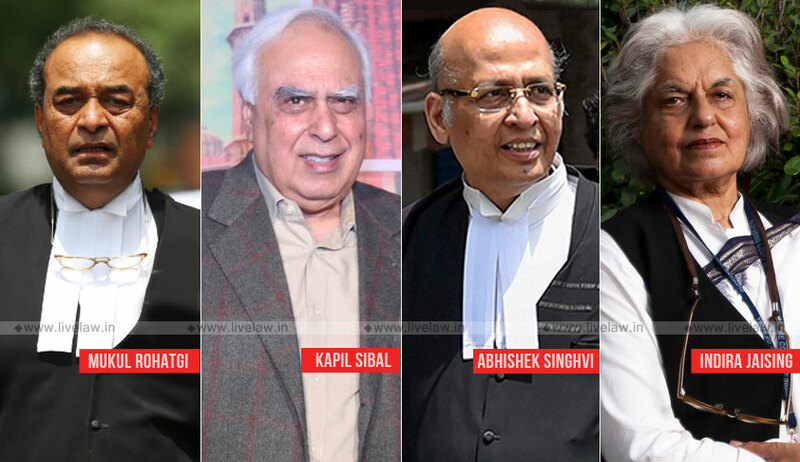 Then the PP has to see if it is justified or not before filing it in court”, insisted Senior Advocates Kapil Sibal and Abhishek Manu Singhvi, adding that as per the judgments of the apex court, the accused are entitled to bail even after the charge-sheet has been filed. “We will not go into the technicality, but we would like to see the charges”, stated the Chief Justice. “It is a matter of life and liberty. In case of there being no report by the PP, they are entitled to bail. I have an indefeasible right by reason of non-application of mind by the PP”, pressed Senior Counsel Indira Jaising. The Chief Justice allowed her to produce the relevant details on the next date of hearing. Read the rejoinder affidavit filed by State of Maharashtra.